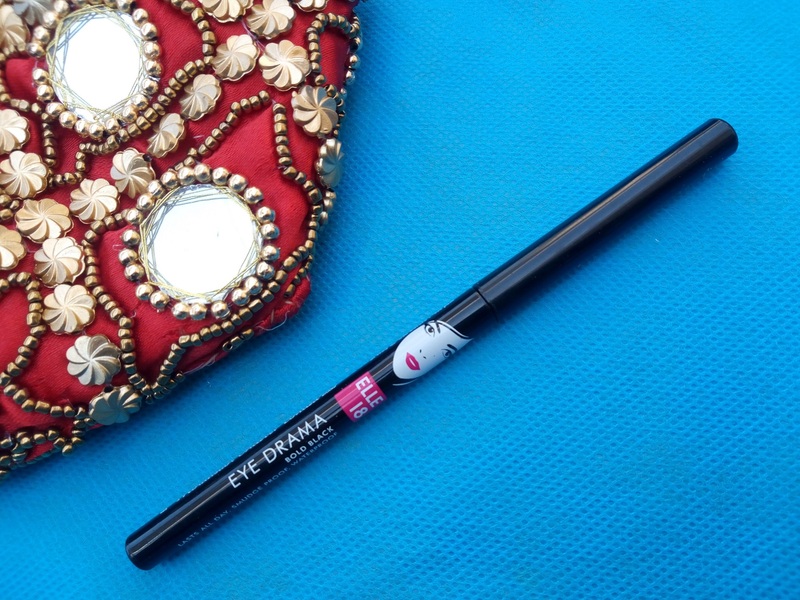 If you follow my blog regularly then you will surely know my love for kajal. 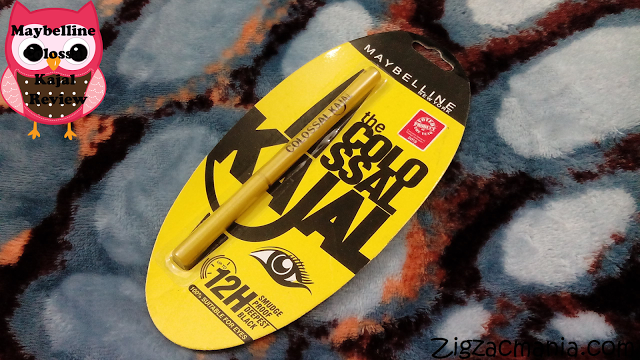 You will find almost every kajal’s review on my blog. 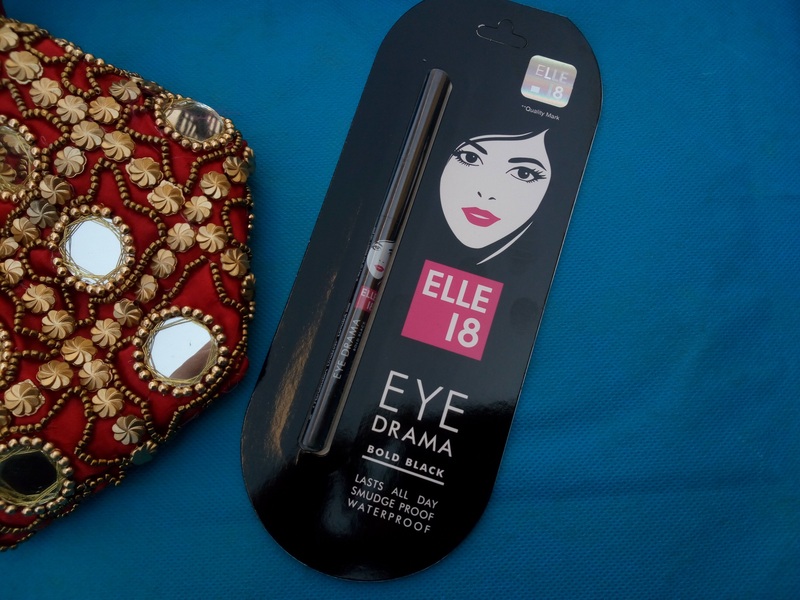 Currently I having three kajal or khols in my vanity i.e Elle-18, Myglamm & faces. 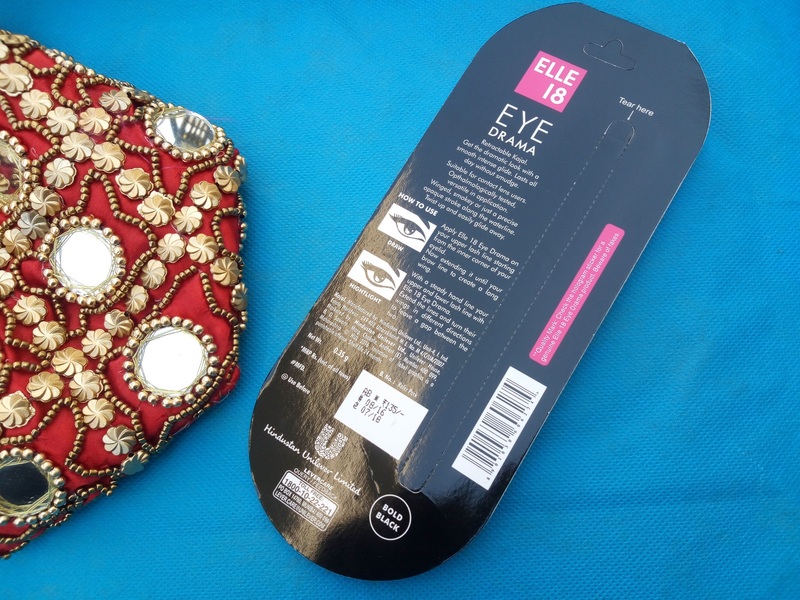 The prices of Elle-18 & Faces kajal are pretty economical on the other hand MyGlamm is tagged at higher price. I will be reviewing all of them, lets start with Elle-18. Ingredients: Not mentioned on packaging. 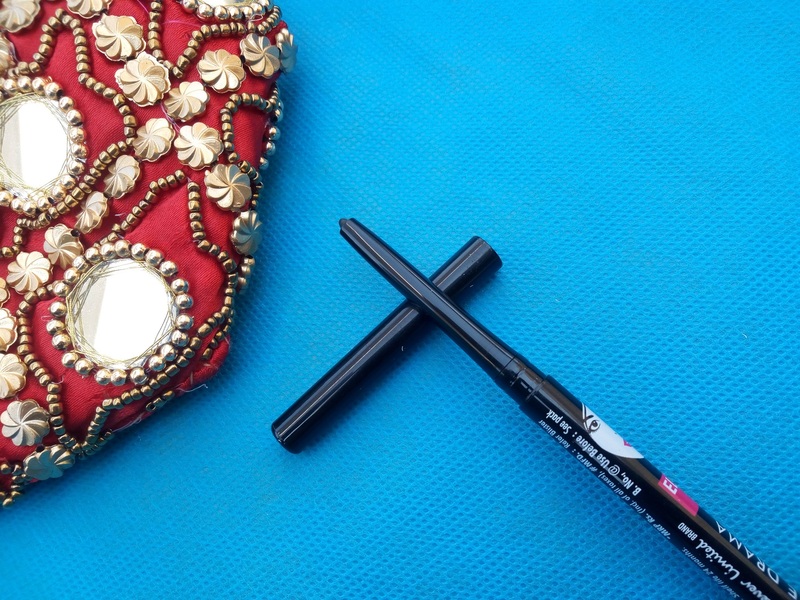 Direction of use: Draw a neat black stroke along your lower waterline. For a more dramatic look, add a bold stroke on the upper lid. 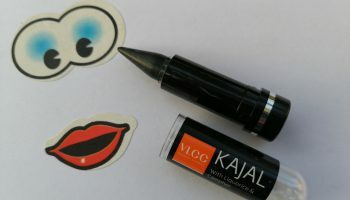 Packaging: This kajal comes in a very cute black outer paper packaging, with a nice girl’s face printed on the outlet. 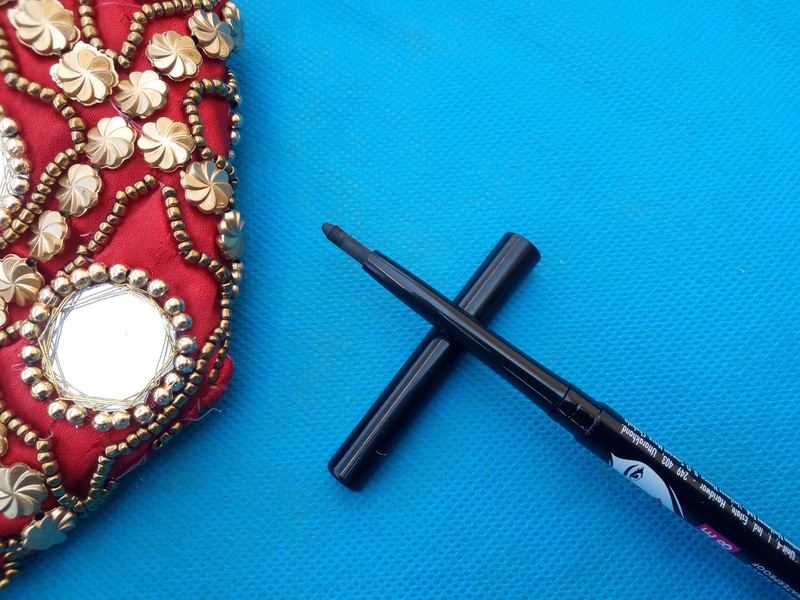 The actual product is a retractable pencil kajal with a nice cap. 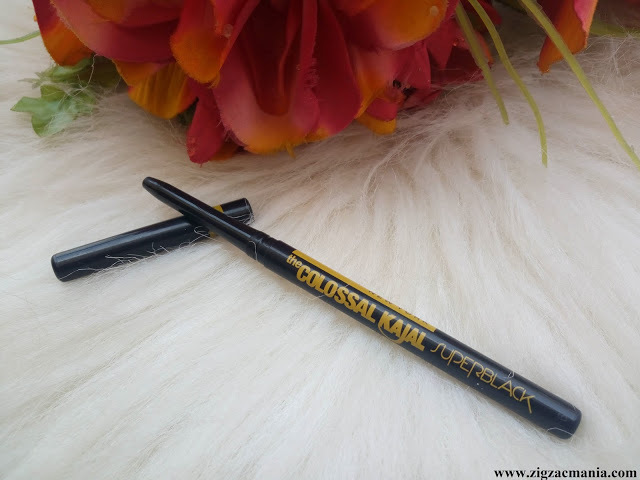 The twist up mechanism works perfectly & prevents freedom wastage caused by sharpening of kajal pencils. I absolutely loved the packaging. 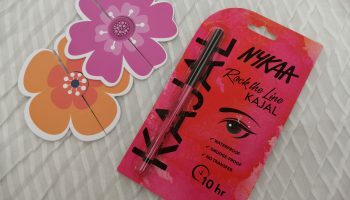 My opinion about the product: This kajal has creamy soft texture, that glides smoothly on eyes without any tugging or pulling, even on your water line. 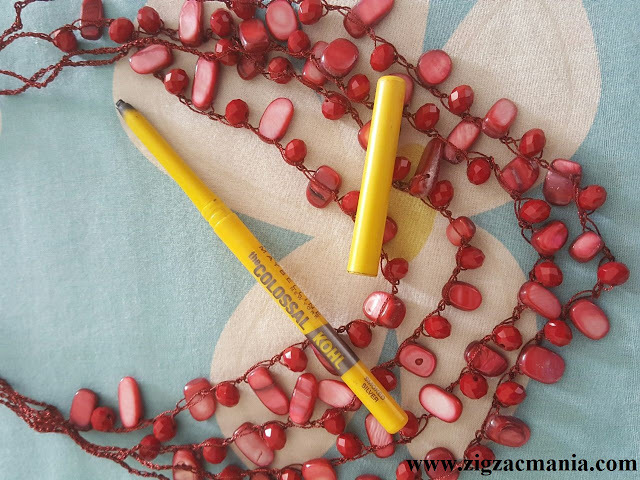 The pencil starts with a fine point but after one or two use it is a thick blunt so definitely not an option if you want a fine line. 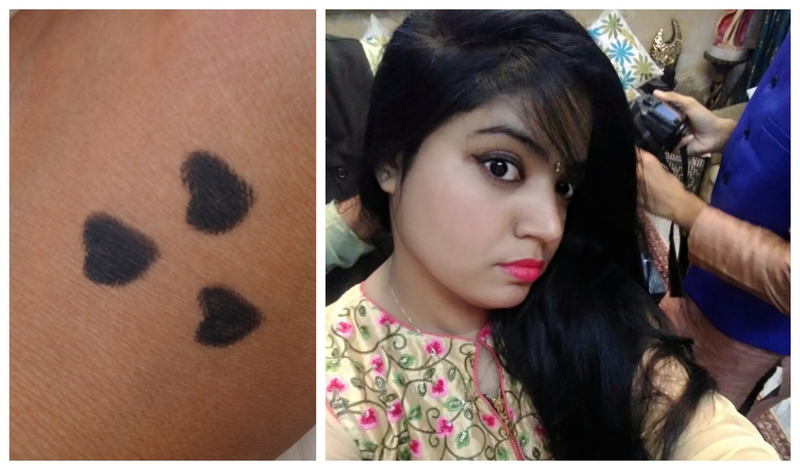 On application it comes out a matte black shade, darker than regular black but definitely not the darkest one. 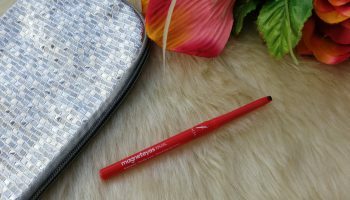 MyGlamm is giving amazing jet black shade with an unbelievable quality 🙂 Application is super easy & you can create any look from a winged liner to something which needs a lot of blending like smokey. 1. 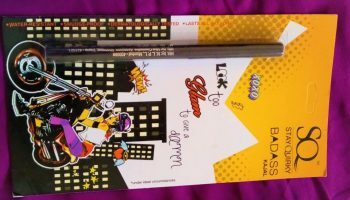 Has a nice texture & glides smoothly. 2. 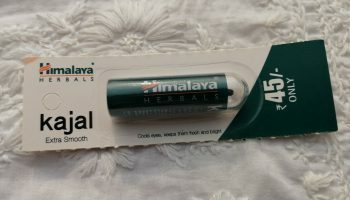 Easily available in local as well as online market. 3. Water proof & smudge proof up to a certain extent. 4. Doesn’t irritate my sensitive eyes. 1. Breaks off a little under pressure. 2. Ingredient list is not complete. 4. Doesn’t stay for whole day as claimed.